Thus I heard. On one occasion the Blessed One was living at Benares in the Deer Park at Isipatana (the Resort of Seers). There he addressed the bhikkhus of the group of five. "Bhikkhus, these two extremes ought not to be cultivated by one gone forth from the house-life. What are the two? There is devotion to indulgence of pleasure in the objects of sensual desire, which is inferior, low, vulgar, ignoble, and leads to no good; and there is devotion to self-torment, which is painful, ignoble and leads to no good. "The middle way discovered by a Perfect One avoids both these extremes; it gives vision, it gives knowledge, and it leads to peace, to direct acquaintance, to discovery, to nibbana. And what is that middle way? It is simply the noble eightfold path, that is to say, right view, right intention; right speech, right action, right livelihood; right effort, right mindfulness, right concentration. 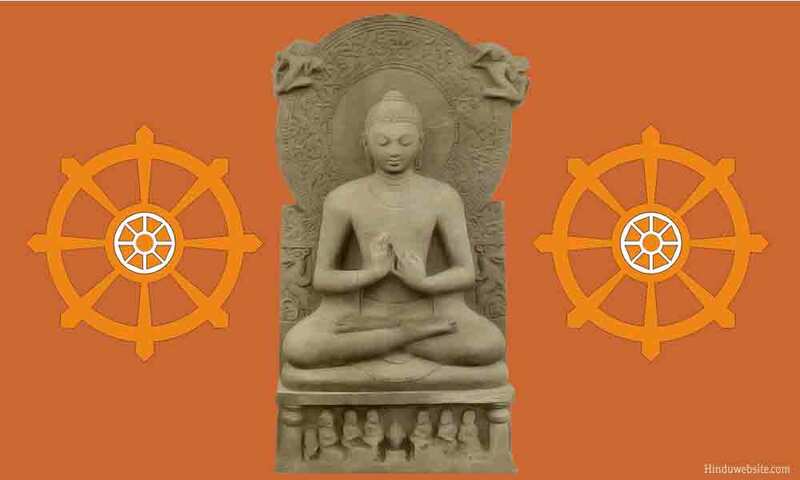 That is the middle way discovered by a Perfect One, which gives vision, which gives knowledge, and which leads to peace, to direct acquaintance, to discovery, to nibbana. "Suffering, as a noble truth, is this: Birth is suffering, aging is suffering, sickness is suffering, death is suffering, sorrow and lamentation, pain, grief and despair are suffering; association with the loathed is suffering, dissociation from the loved is suffering, not to get what one wants is suffering  in short, suffering is the five categories of clinging objects. "The origin of suffering, as a noble truth, is this: It is the craving that produces renewal of being accompanied by enjoyment and lust, and enjoying this and that; in other words, craving for sensual desires, craving for being, craving for non-being. "Cessation of suffering, as a noble truth, is this: It is remainderless fading and ceasing, giving up, relinquishing, letting go and rejecting, of that same craving. "The way leading to cessation of suffering, as a noble truth, is this: It is simply the noble eightfold path, that is to say, right view, right intention; right speech, right action, right livelihood; right effort, right mindfulness, right concentration. "'Suffering, as a noble truth, is this.' Such was the vision, the knowledge, the understanding, the finding, the light, that arose in regard to ideas not heard by me before. 'This suffering, as a noble truth, can be diagnosed.' Such was the vision, the knowledge, the understanding, the finding, the light, that arose in regard to ideas not heard by me before. 'This suffering, as a noble truth, has been diagnosed.' Such was the vision, the knowledge, the understanding, the finding, the light, that arose in regard to ideas not heard by me before. "'The origin of suffering, as a noble truth, is this.' Such was the vision... 'This origin of suffering, as a noble truth, can be abandoned.' Such was the vision... 'This origin of suffering, as a noble truth, has been abandoned.' Such was the vision... in regard to ideas not heard by me before. "'Cessation of suffering, as a noble truth, is this.' Such was the vision... 'This cessation of suffering, as a noble truth, can be verified.' Such was the vision... 'This cessation of suffering, as a noble truth, has been verified.' Such was the vision... in regard to ideas not heard by me before. "'The way leading to cessation of suffering, as a noble truth, is this.' Such was the vision... 'This way leading to cessation of suffering, as a noble truth, can be developed.' Such was the vision... 'This way leading to the cessation of suffering, as a noble truth, has been developed.' Such was the vision... in regard to ideas not heard by me before. "As long as my knowing and seeing how things are, was not quite purified in these twelve aspects, in these three phases of each of the four noble truths, I did not claim in the world with its gods, its Maras and high divinities, in this generation with its monks and brahmans, with its princes and men to have discovered the full Awakening that is supreme. But as soon as my knowing and seeing how things are, was quite purified in these twelve aspects, in these three phases of each of the four noble truths, then I claimed in the world with its gods, its Maras and high divinities, in this generation with its monks and brahmans, its princes and men to have discovered the full Awakening that is supreme. Knowing and seeing arose in me thus: 'My heart's deliverance is unassailable. This is the last birth. Now there is no renewal of being.'" That is what the Blessed One said. The bhikkhus of the group of five were glad, and they approved his words. Now during this utterance, there arose in the venerable Kondanna the spotless, immaculate vision of the True Idea: "Whatever is subject to arising is all subject to cessation." When the Wheel of Truth had thus been set rolling by the Blessed One the earth gods raised the cry: "At Benares, in the Deer Park at Isipatana, the matchless Wheel of truth has been set rolling by the Blessed One, not to be stopped by monk or divine or god or death-angel or high divinity or anyone in the world." On hearing the earth-gods' cry, all the gods in turn in the six paradises of the sensual sphere took up the cry till it reached beyond the Retinue of High Divinity in the sphere of pure form. And so indeed in that hour, at that moment, the cry soared up to the World of High Divinity, and this ten-thousand fold world-element shook and rocked and quaked, and a great measureless radiance surpassing the very nature of the gods was displayed in the world. Then the Blessed One uttered the exclamation: "Kondanna knows! Kondanna knows!," and that is how that venerable one acquired the name, Anna-Kondanna  Kondanna who knows.